Constructed from a single piece of tin drawn to form the body of the can, Allstate’s superior quality seamless tins have no seams which means no leaks. An array of diameters and heights of flat and deep style seamless cans are stocked* in a plain tin finish. Don’t see what you need? Email us for a quote. No sharp edges! Allstate’s seamless tin covers and bodies are either curled or hemmed to provide a safe edge. Color printing is available on a custom basis. Graphics and artwork are “distortion printed” on flat sheets of metal and when the metal is drawn to form the tin, the artwork is no longer distorted. 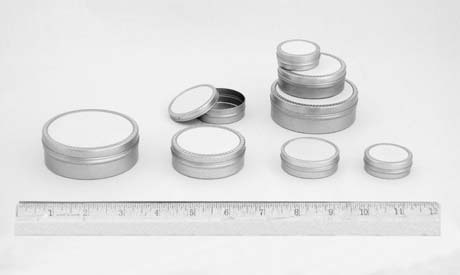 Minimum order requirement for custom seamless tins is 10,000 tins. 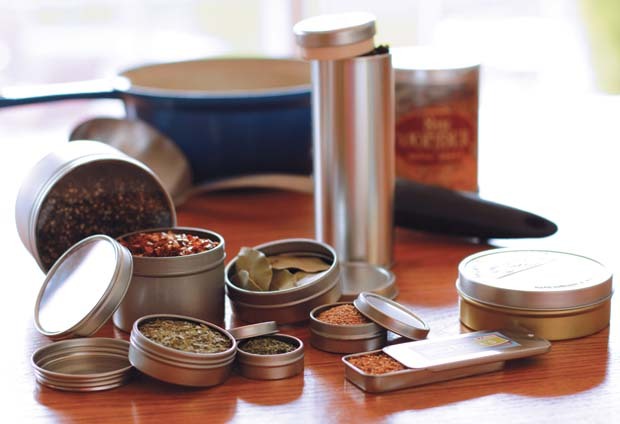 Allstate Can Corporation manufactures an expansive selection of tins suitable for packaging herbs and spices from two-piece seamless tins to hermetic cans for bulk spices that seal in air-tight freshness, screw top tins and interior seal tins. Many tins have low minimum purchase requirements and are in stock and ready to ship. We also offer custom sizes, shapes and printing and embossing. A tin can be easily labeled or custom printed, there are a wide variety of sizes and shapes available, and they eliminate the issues of jars breaking in transit. Your shipping costs may even be reduced because tins weigh less than many other packaging options. Tins are infinitely recyclable and all of Allstate Can’s tins are made of recycled steel. *Anise, cardamom, fennel, cumin, sweet marjoram, mace, cloves, pepper, allspice and cinnamon were among the tested spices. Candle makers and fragrance packagers are faced with complex decisions. 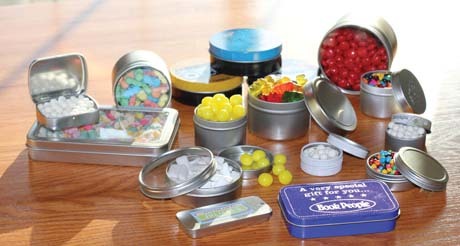 Selecting tins as your packaging solution can alleviate the stress of at least one of them. 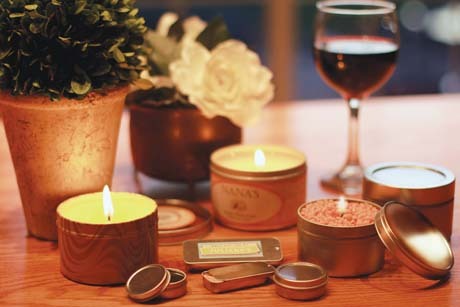 The tin container eliminates the worry over “wet spots” commonly found in glass container candles, and does not require a second pour. Shipping costs are reduced because tins weigh less than other packaging options. Allstate offers low minimum order requirements on our brushed silver stock tins. Proper sample collection and handling is an integral part of obtaining a valid and timely laboratory test result. Allstate’s Label-It tins are ideal for sample collection and storage and the paper top alows for writing identification. Allstate’s tins are food safe. CrystalClear™ tins incorporate windows in the covers constructed of food-grade APET. Covers and bodies are either hemmed or curled to provide a safe edge. Solid top lids and CrystalClear™ window lids are available in an array of tin sizes. Shapes include round, square and oblong slider tins. Custom printing is available quantities of 10,000+. 2-5/16 x 1-7/8 x 1/2"
3-11/16 x 2-5/16 x 3/4"
7-1/4 x 5-1/4 x 1"
5-1/4 x 3-3/8 x 7/8"
1.9 x .908 x .375"